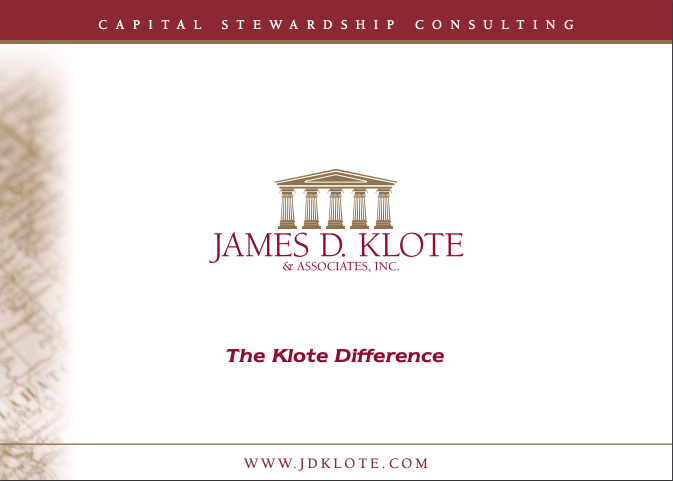 I recently chatted with Jim Klote, President of James D. Klote & Associates, a church consulting firm in the United States. His 25 years of work with churches of all denominations has earned him a reputation across the country as an expert in church building projects. What exactly is capital stewardship consulting services? Sounds complicated! 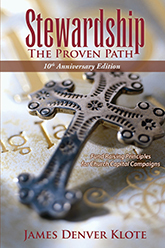 Capital stewardship simply means all of a church’s financial needs outside of the regular, annual budget. This might include new construction, renovation, debt reduction, deferred maintenance, mission and outreach, or building an endowment. Our services help the church raise needed capital funds for a particular capital stewardship project. 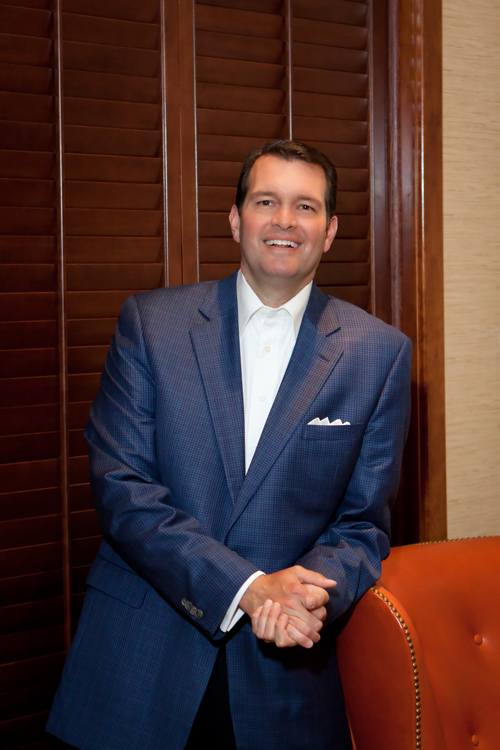 You claim to be the largest full-time church consulting firm in the country, and that your business is booming. Many of your competitors are struggling and going out of business. What makes you different? We really are the largest firm of our kind even our competitors acknowledge that. We just stick to the most effective and proven stewardship methods. This mostly focuses on the simple practice of coaching our church clients to visit with each of their members face-to-face, one-on-one. Plus, our consultants only work with one church client at a time, while other fundraising consultants take on a wide variety of other organizations, working with all of them at the same time. We truly become experts with a very deep understanding of our clients and their congregations capital needs. Explain exactly what “full-time on-site” means. Is it the same thing as resident-directed? “Full-time on-site” is the same as resident-directed. It means that one of our experienced consultants lives in the community where the church is located, and works in-person with the rest of the church staff each and every day. We don’t work with clients by visiting periodically. For all practical purposes, our consultants become an integrated part of the church staff and administer all aspects of the campaign. One client described our approach as being “embedded” in their congregation. Our model allows us to understand the culture of a congregation, which is another reason we have such a strong track record of success. It sounds like it’s expensive to have a consultant there full-time. Actually, when you consider how much more our clients gain from the campaigns we administer, we’re one of the least expensive fundraising consultants. The fees for most part-time firms cost 10% or more of funds raised, while our fees run between 2% and 4% of campaign results. But, churches should not just consider these figures. Look at the bottom line: On average, our clients raise 5 times their annual giving, while most part-time consultants only raise 1 times annual giving. Obviously, the difference is huge. What are the benefits to having a full-time consultant? Part-time firms often neglect to mention the hidden costs absorbed by the church when working with a part-time firm. That cost is the time and energy which pastors, staff and volunteers spend on administering the campaign. In addition to raising considerably more money, we share in the responsibilities that otherwise fall squarely on the shoulders of the local congregation. Our involvement ensures that there are few additional fundraising responsibilities for the church. This is important because campaign pledge periods are between three years and five years. Who are your consultants, and how do you know they’ll fit into a congregation? That’s a great question. Churches always have fear that the chemistry will not be right. We have 15 consultants in the firm, and they come from varied backgrounds, including business, teaching, sales, fundraising and not-for-profit work, as well as several clergy. When assigning a consultant to a church, the most important criteria is matching the professional’s experience with the nature of the project. During the assignment process, we first nominate an individual consultant for the church’s project, and the clients can meet and interview them. If for any reason it’s not the right match, we nominate another. It’s very rare that the first nominated consultant isn’t accepted. Just as with everything else, our priority is to meet the client’s needs and ensure the church is happy with our services from the very first day. 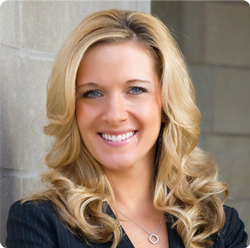 The success of our company depends on many factors: our trained consultants, our dedicated clients, and Erin A. West, the woman behind the scenes at James D. Klote & Associates. Erin has been with Klote for 13 years and started out as a consultant in the field. As the company expanded, so did Erin’s role; she began to work out of the Virginia headquarters, taking on marketing & sales, training, scheduling, preparing contracts and proposals, and attending conventions across the country. I understand the benefits of full-time consulting, but is there an alternative to full-time? And if so, would you recommend it? Most other firms today only offer part-time consulting with a personal visit only once or twice a month. This leaves most of the details and responsibilities for the campaign to be completed by the pastors, business administrators, church staff and volunteers. Churches that use this method often raise 1 times annual giving. 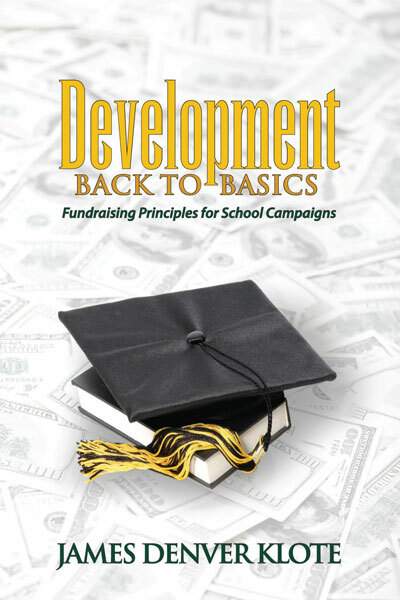 I couldn’t recommend this approach to any campaign effort that must achieve 3, 4 or 5 times annual giving. “I am grateful to work for a company that does such wonderful work and actually makes a difference.” Erin A. West, Vice President of Operations. What’s your story, Jim, and why did you get into this business? When I graduated from college, I was a little unclear of my path, but I knew I wanted to work for the common good. So, I got a job in fundraising for the United Way, where I found I had a natural talent. Soon after, I was the youngest new recruit at Ward, Dreshman & Reinhardt, the first and oldest fundraising firm in the nation, where I directed fundraising campaigns for churches and other not-for-profits around the country. After just eight years, I was elected president of the firm. And just a few years later, I was able to acquire the whole firm. I’m very proud that today Ward, Dreshman & Reinhardt continues its tradition of directing campaigns for schools and libraries around the country. I believe there will continue to be greater competition for charitable dollars. Since this has been the case the past few years, and I believe it will continue, there’s significant demand for churches to retain firms such as ours in order to maximize fundraising potential. No church leader wants to spend years working on a new building plan with architects, only to find at the end of a poorly run campaign that there aren’t enough funds available to build. That’s why it’s important to have a campaign directed by a firm that has a proven track record of achievement. How can church leaders get in contact with you and your staff? We have offices in Falls Church, VA and in St. Charles, IL, just outside Chicago. We also have an office in Toronto, Ontario. We can be reached by telephone at (800)360-2315 and at www.jdklote.com. We’re always happy to offer an on-site, in-person presentation of our services at no cost or obligation to any church. This interview was conducted by Emma Johnson, a veteran business reporter and former Associated Press financial writer. Her credits include The New York Times, The Wall Street Journal, Entrepreneur, WIRED and The International Herald Tribune. 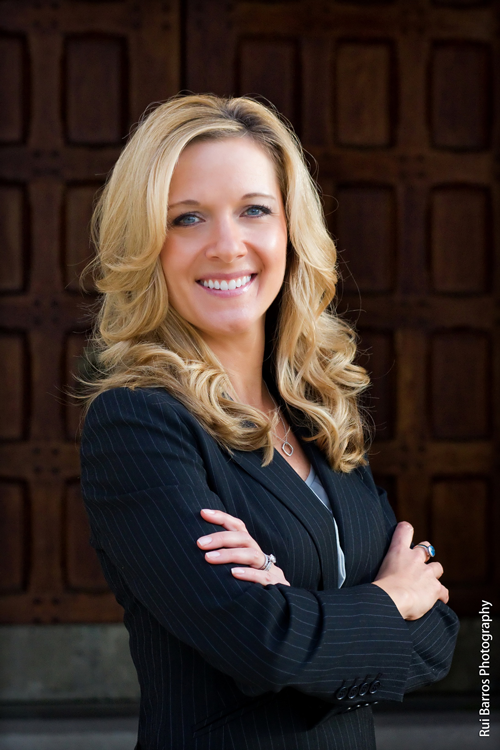 She is a contributing editor at SUCCESS Magazine.